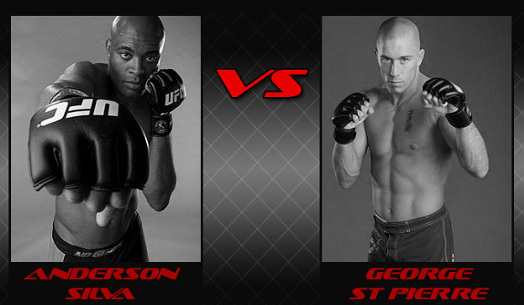 After Anderson Silva beats Vitor Belfort with a smashing front kick, will a Silva vs GSP superfight push through next? After defending his middleweight title belt against Vitor Belfort last Saturday, it’s pretty obvious that Anderson Silva will do anything to leave a legacy in UFC. Now that The Spider was able to give his contender a clean KO via front kick, will the Silva vs GSP superfight be the next in line? It seems likely. And that’s coming from the UFC President, Dana White, himself. And it seems that MMA fans will be in for a big pound-for-pound fight in the horizon. YES….. go for this!!!! it would be awsome!!!!!!!! !